The appearance of our face can change significantly over time. One of the most common age-related changes is the appearance of lines and wrinkles. These features are a natural evolution that occur as a result of our skin becoming drier, thinner and less elastic than it once was. When this happens, it is more susceptible to damage, such as UV rays from the sun and nicotine from smoking. The greater exposure to such harmful elements only serves to accelerate the ageing process and the development of fine lines, wrinkles and further damage. No-one likes the thought of becoming older, but the process can become even more frustrating if your appearance begins to age much more quickly than it should, leading you to look years older than you really are. Dental changes, such as darkening of the teeth and visible cavities can also add to the effects of ageing. Profound psychological effects can follow, from anxiety over your appearance to embarrassment and even depression. Fortunately, there are a variety of invasive and non-invasive cosmetic procedures that can help reverse the signs of ageing, enabling you to feel confident in facing the world once more. One of the most popular and effective treatments is known as Botox. Botox is a neurotoxin that has been successfully been used to treat the appearance of fine lines and wrinkles in patients. It does this by paralyzing the muscles around where it is administered, preventing them from contracting and smoothening the appearance of the skin. This also adds volume to the face and helps you to look more youthful. Botox can be administered in various areas of the face. It is most commonly recognized for preventing lines and wrinkles in the forehead and around the eyes, but it is also extremely successful in improving the appearance of skin around the mouth. For many patients who are undergoing cosmetic dental treatments, the addition of Botox can further boost the effects of their procedure. The result? A complete smile transformation. How can Botox improve the appearance of my smile? By reducing the number of fine lines around your lips. By preventing your mouth from pulling downwards in the corners, giving you a permanently melancholy expression when your face is resting naturally. Reducing the deep lines that form between the nose and mouth, and mouth and chin. By increasing the volume of the lips so that they look fuller and more sumptuous. Botox is administered via injection into the skin at the target sites agreed with your dentist at your consultation. Some patients have reservations about the injection process, but rest assured that since the needle that is used is extremely fine, you should not experience any pain and anesthesia is not required. The process is usually fairly quick and can be carried out during a lunch break. You will be given some guidelines to follow, but typically you can expect to go back to your usual day to day activities pretty much immediately. Some patients have concerns about the safety of Botox. However, with more than 7 million Botox procedures being performed in the U.S each year with an outstanding success rate, the risks associated with the solution are minimal and are far outweighed by the results achieved. 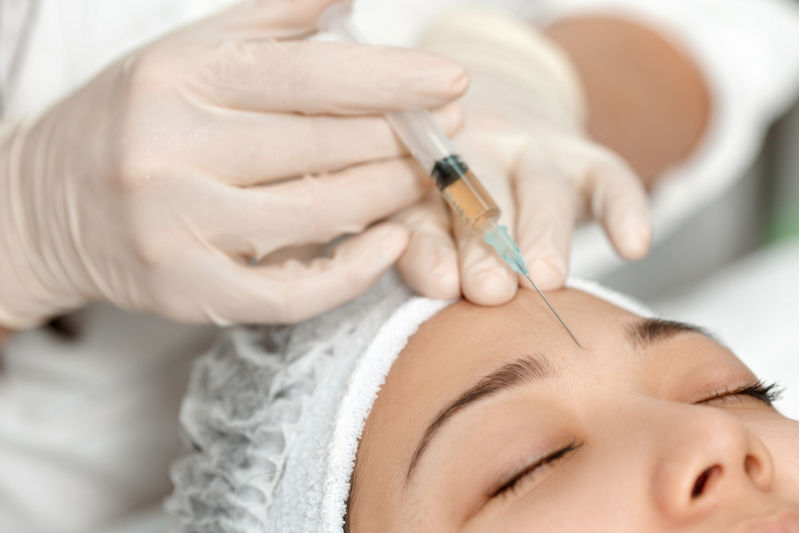 While Botox is very successful, the effects of the toxin are only temporary. Most patients find that their new appearance lasts up to six months before they need to schedule further Botox treatment. However, this can vary between patients. If you are having cosmetic dental work and are considering Botox as a complementary treatment and you would like to find out more about this highly popular minimally-invasive cosmetic treatment, please don’t hesitate to get in touch with our offices to schedule an appointment.